That may have been a usable argument fifteen years ago. But today, when a Google search can find the most obscure information, why not use it to learn where to serve God? On the trip from which I just returned, we travelled far into the harsh African terrain. We landed our little plane on the dirt, and travelled by Land Rover into the villages and hillsides. Someone told me yesterday that it sounds fun, a bit glamorous, and even Indiana Jones-ish. But a more accurate description of the excursion would include the words buggy, humid, intensely hot and buggy. That word is there twice for a reason. In fact, glamorous is the one word you will never find in the description. It would be easy not to go … ever. But once you have, the addiction of helping others is overwhelming. It changes everything you thought you knew about the poor and needy. They are as much a blessing to us as we are to them. The suffering child isn’t just over there anymore—she’s limp in your arms, dying of malaria, dehydration and malnutrition. Out of obedience, they followed His leading, saved up their money to buy medications and supplies, and made the long trip to the heart of a dear people group in North Africa. Part way across the country, my new friend John felt God telling him to serve somewhere. But John didn’t know where to go, or what to do, or even how to make it happen. He doesn’t live near any of those of us who went, but that didn’t stop him from searching the Internet for opportunities to serve. 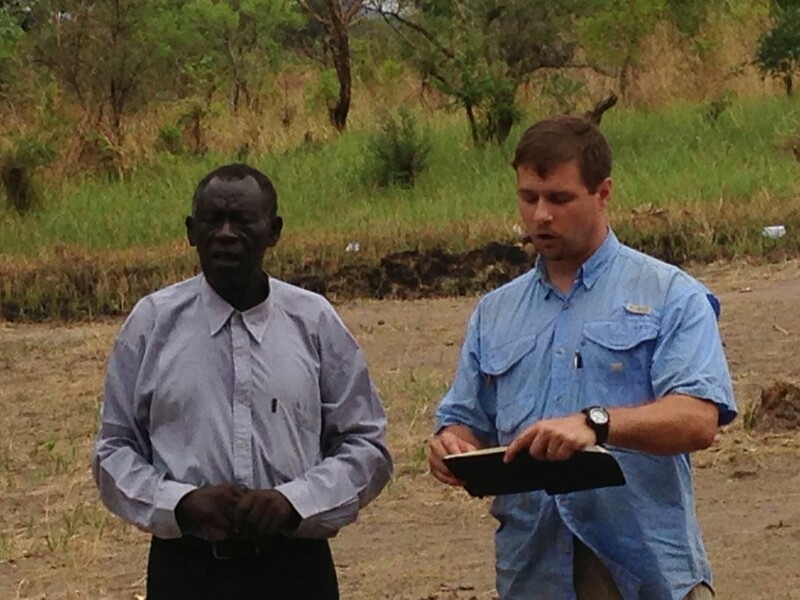 His search led him to our little medical group heading to the tribes of Sudan. But John isn’t a medical person—he’s an evangelist. He started every clinic meeting with a prayer and story from scripture, and spoke to an eagerly awaiting crowd with words he had learned from their native language just days earlier. But John did much more—he helped wherever he was needed, and was always a friend. This trip was no easy task—he had to work just to find the opportunity, then again to get there. From now on, whenever someone tells me they don’t know where to get involved, I’m using John as my example. No more excuses—it’s time to go.